I finally got Sew Psyched!!! I’ve been looking for it, but it was gone from all fall displays I saw. Finally found it at my local beauty store yay!! Milani Rad Purple and OPI Parlez-Vous OPI? 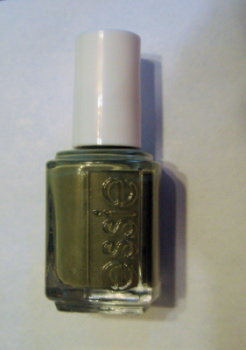 August 8, 2010 at 10:47 am	· Filed under Hauls	·Tagged China Glaze, hauls, helmer, Orly, Urban Decay. Third row is some drugstore polishes I just got: Milani Hi-Res, Metal Gear, Melt With U, WnW Kaleidoscope, Confetti Ice Ice Baby, LA Colors (forgot the name and it’s not in the bottle). And it’s not nail polish but I got my lipgloss and pigments from Urban Decay the same day so I included it in the picture. I was so proud when I put it together on my own(except for the wheels, my dad did that! ), and didn’t break any nails. I was sure I was going to!